NTS Longmont is a full-service testing laboratory operating from two Longmont, CO locations. Offering EMI / EMC emissions and immunity testing at our Vista View Drive facility, and environmental testing capabilities including thermal cycling, acceleration, classical shock and vibration testing from our Dry Creek Drive location. In addition to our broad range of services, you can always count on quality results when you choose either of our NTS Longmont locations for your testing needs. As an ISO/IEC 17205 accredited organization, our NTS Longmont facilities also hold American Association for Laboratory Accreditations — or A2LA — in electrical 0214.43 and mechanical 0214.44 categories. This ensures our tests, equipment calibration, measurement techniques and methods of data collection meet with strict third-party auditor approval. NTS Longmont has more than 20 years of experience serving the needs of customers in Colorado and beyond. With the ability to design for a broad range of testing environments, NTS Longmont routinely solves problems for clients and has provided up-front design and retrofit for products to be used in medical, residential, commercial, industrial and space environments. Our new environmental and dynamic testing capabilities give our clients a single-source to meet the dynamic and environmental requirements of MIL-STD-810, MIL-STD-461, RTCA DO-160 and others. 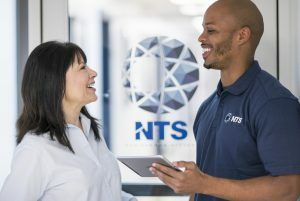 For both electromagnetic interference — or EMI — and electromagnetic compatibility — or EMC — testing, the name NTS is known around the world as an industry leader. Our subject matter experts and program managers are dedicated to listening to your EMI/EMC concerns. That way, we can provide you with everything from standard to customized tests that meet both your product’s needs and the regulatory requirements of your industry. From telecommunications and medical equipment to military, space and aviation components, we can help you navigate the complex requirements of organizations such as the FCC, FAA, DoD and NASA. Plus, we have the in-house experience and testing chambers to help you obtain certification for your commercial products in North America, the European Union and beyond. By constantly investing in the newest equipment and continually training to stay abreast of the latest testing techniques, our NTS Longmont labs can handle the most challenging and extreme EMI/EMC tests. CBTL Certified Testing – NTS is one of the few CB Testing Laboratories (CBTLs) for electromagnetic compatibility in the United States. We can accommodate CB Scheme EMC testing on medical products for world-wide compliance. Our scope includes 2nd, 3rd, and 4th editions of IEC 60601-1-2. Commercial EMC Testing – NTS has the ability to test a wide range of commercial products, from battery-powered, handheld meters to electrosurgical generators. Full compliance emissions and immunity testing is performed under one roof. Medical EMC Testing – NTS tests electronic devices used in a hospital environment or other medical applications including life support equipment, generators, and x-ray equipment as well as smaller devices such as pulse oximeters. Military and Aerospace EMC Testing – EMC testing services on a number of high-profile programs, including the International Space Station and the C-17 Globemaster. MIL-STD testing, trouble-shooting and mitigation and design has been performed on actuators, CCUs, Launch, IR and UV cameras, and more. Prescan & Mitigation – NTS provides engineering-level EMC immunity and emission testing for all tests that will be required for full compliance. Pre-scans are abbreviated tests which aim to identify potential problem areas earlier in the design cycle. Pre-scan Emissions Testing – Enables clients to determine whether or not a compliance problem exists long before it can impact time to market. Pre-scan services have found that we offer an excellent environment for them to trouble-shooting EMC issues. Two fully accredited 10-meter chambers – NTS Longmont boasts two fully accredited 10-meter chambers for our emissions testing, giving clients the advantage of more reliable data while saving them time and money. From vibration testing to mechanical impact and shock to temperature, humidity and altitude testing, NTS Longmont performs a complete range of environmental services. Remember that until you verify that your product can withstand the stresses it will meet in its operational environment, you cannot be assured of its value to your customers. For this reason, environmental simulation and dynamics testing can save your organization both valuable time and money by quickly and accurately identifying weaknesses and/or flaws in your product while they can still be corrected. 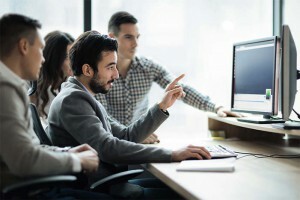 Why risk a costly recall that can erode customer loyalty and harm your company’s reputation when our environmental services can help you create a best-in-class product? Click here to visit our Longmont environmental lab page. Is your product ready for environmental testing? Request a Quote today to begin discussions with our team.